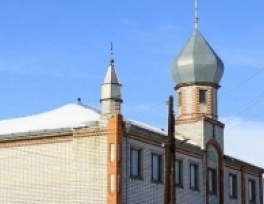 The attack on Volgograd's mosque is not the first to target Muslims this week. A mosque in the southern Russian province of Volgograd came under arson attack after an anonymous man threw a Molotov cocktail through its window early on Thursday, in a new episode of anti-Muslim attacks in the European country. 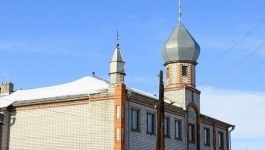 "At around 2:00 am on Thursday, an unknown man threw a bottle filled with an as yet unidentified substance at a window on the ground floor of a mosque located in Volgograd's Voroshilovsky District,"the Interior Ministry's regional branch said in a press release cited by Interfax news agency on October 24. The police added that a criminal investigation may soon be opened on the counts of intentional destruction or damage of property through arson in an attempt to identify the man who tried to set fire to the mosque. The attacks took place a few days after an alleged female Islamist militant from Russia's North Caucasus republic of Daghestan blew herself up inside a bus in Volgograd on October 21. Six men and a woman were killed and score were injured in the attack. Two days ago, another Molotov cocktail attack targeted an Islamic center used as a mosque. Starting a fire that was extinguished by firefighters, the suspect was caught on cameras and televisions in Russia had shown the video. Two people were also killed trying to explode a mosque in the Kabardino-Balkar Republic within Russian Federation. In the courtyard of the mosque, automatic weapons, two guns, grenades and ammunition had been seized. Islam is Russia's second-largest religion representing roughly 15 percent of its 145 million predominantly Orthodox population.